Today, I was in Costco where I observed a couple of obese customers in electronic wheelchairs buying their food... IN BULK. We then went to Sonic (I know) and instead of ordering a Route 44 which can hold the contents of a person's daily urine output with normal renal function (seriously) I ordered a medium. Guess what? The medium was what x-large was years ago. 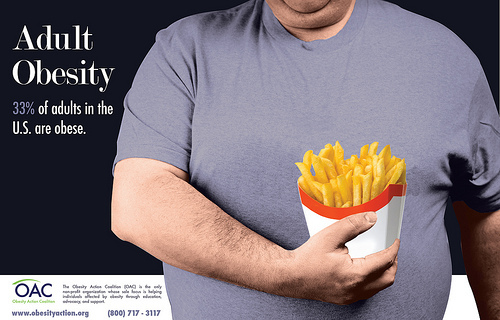 More than one-third of Americans are obese (> 30 BMI). Another third are overweight. Combined this means that almost 70% of the US are either obese are overweight. The average size of a bagel doubled in size from 1983 to today. Three-inch diameter with 140 calories to 6-inch diameter at 350 calories. Super-size me please. So why lose the weight this 2013 and make this the year of change?